Eloise Wilson along with Jodie Brett and keeper Caitlin Leach earn call-up to England Women’s U20 training camp at St George’s Park. 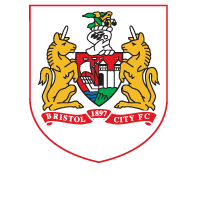 Bristol City Women's Eloise Wilson joins her two fellow teammates on the camp which starts on Monday, August 15th. Wilson signed for the Vixens from Reading and received her first international call up when she was 17. A few months later she competed in the UEFA European Championship where she earned her competitive debut for England U19s against Germany. “I’m really pleased to be involved in the camp,” said the defender. “It’s an opportunity that I want to make the most of as everyone will be looking to impress. Vixens keeper Cailtin Leach has represented England since U17s and is delighted to be selected again. The 19-year-old joined Bristol City Women following the expiration of her contract at Aston Villa Ladies FC earlier this year, where she had progressed through the Centre of Excellence and Development Team and into the first team squad. The youngster has an impressive international career to-date. She was named in UEFA’s squad of the tournament following her outstanding performances in the U19s Euros, and she was selected in Mo Marley’s England squad in the U20s World Cup in 2014. “It’s a great opportunity,” said keeper Leach. “I’m really looking forward to the camp, although I am a bit nervous. 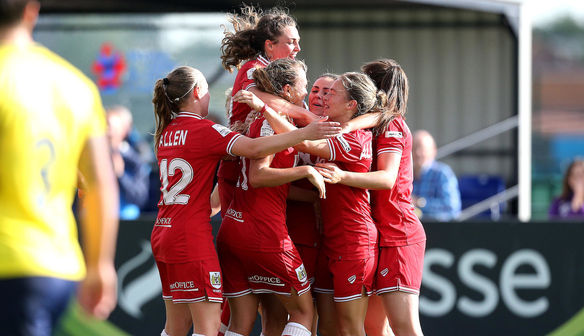 “Since joining Bristol City Women, I have been playing with much more confidence,” she added.